San Diego - As dawn broke across the bay of America's Finest City, the blowing of a conch shell could be heard in the distance as a crowd began to gather excitedly at Ski Beach in preparation of the 23rd Annual Pacific Islander Festival “Voice of the Sea.” Vendors, volunteers and staff prepped for an eventful weekend full of excitement and fun while local San Diegans and visitors began to claim their spots in front of a pre-set stage. 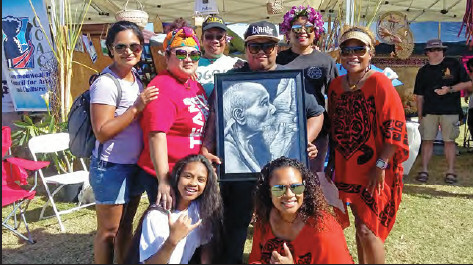 The Pacific Islander Festival Association’s (PIFA) annual event took place on September 23rd - 24th with hundreds of participants and spectators daily. The 2-day event promoted and showcased the traditions, cultures and customs of Melanesia, Micronesia and Polynesia. It consisted of a vast variety of entertainment (music, dances and presentations), over 120 vendors (food, specialty crafts, island gear and accessories), cultural village booths from numerous islands in the Pacific, a scholarship program and other outreach activities. Since its inception in 1994, PIFA has become a hot spot for both Pacific Islanders and non-islanders from across the great state of California and its neighboring states. With each passing year, PIFA has grown in popularity attracting over 80,000 attendees as more and more people became drawn to the uniqueness, beauty, and richness of the Pacific culture, people and island grinds. Rest assured, the Federated States of Micronesia (FSM) community in San Diego proudly represented the nation and participated at the first PIFA event in 1994 with stick dances and chants, a fashion show of traditional FSM attire and the welcoming of the late, honorable navigator, Pius "Mau" Piailug, as he voyaged from Micronesia directly into Sea Port Village, San Diego. Since then, the FSM community continued to participate at the festival through performances of cultural dances and local songs; displays of handicrafts; local attire; informative brochures from Chuuk, Kosrae, Pohnpei and Yap; and marching with the display of the FSM flag at during opening ceremonies. It shall be highlighted that this year, the FSM cultural village booth was a huge success due to the support of many FSM families and friends, essentially the collective effort of the FSM-PIFA committee led by Mr. John Akapito from Chuuk and island representatives: Isobel Kinsang (Chuuk), Jannette Roby (Chuuk), Tony Edwin (Pohnpei/Kosrae), Shanty Asher (Pohnpei/Kosrae), and Maxine Suka (Yap). The committee also wishes to recognize the presence and support of Mr. Dan Norton who tirelessly advertised and displayed his collection of amazing photos of the FSM. This year was particularly special for the FSM because it has not had a cultural village booth display for the past five years. Through the collaborative efforts of this group and friends who generously contributed personal artifacts to diversify and populate the collection, the FSM booth was very well received and recognized. To our contributors, you know who you are, thank you incredibly! The FSM community in San Diego wishes to inform our people of FSM that we take pride in representing you and promoting our unique cultures and sharing information about the FSM. Today, we appeal to you to help us make next year’s PIFA a bigger success by sending dancers to represent Micronesia on stage. That is what was missing this year and we hope to show off our traditional dancers and give PIFA a taste of Micronesia next year. “PIFA - San Diego seems to grow in popularity with each passing year. 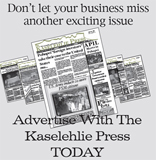 I think it would be amazing to have FSM dance performances in the years to come, perhaps even include a vendor booth and assist FSM locals with selling their handmade products to the world,” Neth wrote of the event. For more information on PIFA, visit www. pifasandiego.com.